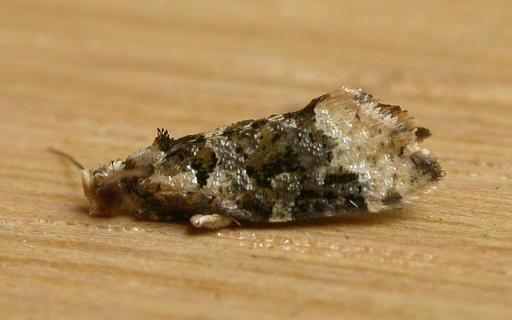 The adult moth of this species has wings that are brown, with a pale band along the margin of each forewing. The wingspan is about 1 cm. Series 1, Volume 6, Part 3 (1881), pp. 456-457, No. 11.